Stud Stock Sales offer a range of livestock marketing services in order to increase you stud's visibility. 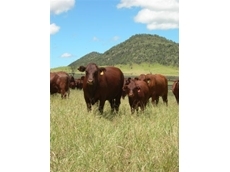 WOODSTOCK SANTA GERTRUDIS STUD HAS BEEN BREEDING SANTA GERTRUDIS CATTLE SINCE 1980. SELLING ONLY THE BEST IN TEMPERMENT AND OUTSTANDING GENETICS IN OUR BULLS AND FEMALES. WOODSTOCK PRIDE OURSELFS IN BACKING UP IN WHAT WE SELL. Santa Central - The increasing costs associated with travelling to sales and feeding bulls to a level to compete at multi vendor sales has seen 15 leading Santa Gertrudis studs from across the nation take steps, entering a new bold marketing venture. Based in Glenmore, Benelkay Santa Gertrudis Stud has been breeding cattle for over 45 years offering bulls and cows for sale. 02/02/10 - Gyranda's Santa Gertrudis stud is one of the most successful cattle operations in Australia, selling over 250 bulls as seedstock to stud and commercial operators every year. 29/10/09 - Stud Stock Sales is an online directory listing all the bull sales and ram sales across Australia. 01/08/08 - Rosedale Charolais Stud is a registered breeder selling stud and commercial bulls across Australia. 18/07/08 - O'Leary's Glenmore Farm offers Devon cattle which have better temperament, produce good milk for calves and can be grown to any market. 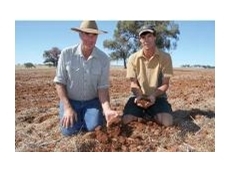 17/07/08 - Norolle Cattle Company offers breeding services for a range of commercial beef cattle.